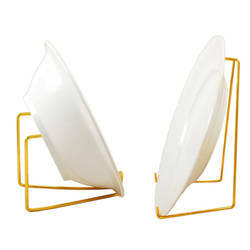 Stand upright to display plates and platters and lay down to safely display bowls. Available in 4 colours. Black and White plastic coating and Chrome and Gold metal coating.